The latest report claims the iPhone nano is the “same height as the just released iPod nano, but wider and thicker and with the same iPhone 3G contours,” writes MacRumors. In November, Barclays Capital analyst Ben Reitzes speculated Apple would introduce an ‘iPhone nano’ in 2009, marking the third quarter as the most likely launch point for such a device. 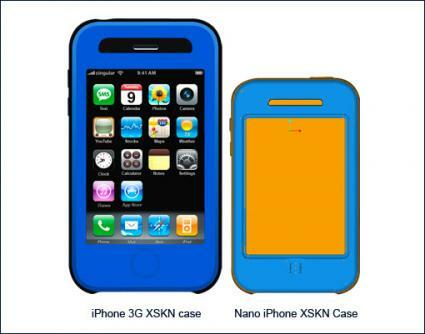 The analyst sees the iPhone nano as a strong move to widen Apple’s addressable market for mobiles. He also warned the system may be unable to download and use applications from the App Store, which could be a flaw in the plan, given the popularity of iPhone/iPod touch apps. It’s possible now that Apple may have bought forward its plans for the release of the lower cost mobile, presumably in response to senior management’s awareness of the huge impending dip in US consumer electronics sales, driving focus further on price, even at the expense of functionality. Speculation that Apple plans to diversify its iPhone product range has been ongoing since April 2008. In August a UK newspaper even went so far as to claim Apple planned to release the iPhone nano, ‘in time for Christmas’, a claim now clearly proved false. What do we think? We can see no reason Apple won’t move to widen the market for its handheld devices by widening the available product matrix. This kind of plan worked successfully for the iPod range, and given competing firms bring to market a multiplicity of products for different needs, Apple needs to compete in multiple segments. Also as markets become ever more price conscious, Cupertino may be forced to depart from tradition and pitch into the markets on a price-based basis. We anticipate this product could be revealed, alongside an updated Mac mini, a new Mac Pro and DRM-free iTunes Plus downloads from most major labels at Macworld Expo in January. What do you think is likely to happen?